Accounting firm, Bryant Bell Training, in partnership with MUT, Accounting Technicians South Africa (AT (SA)) and the Banking Sector Education and Training Authority (BANKSETA), will continue to offer training for Certificate in Accounting (NQF 5) as part of Capacity Building and Post School Training Project in spite of the recent protest at MUT. Prof Chandra Jinabhai, the Acting Dean of the Faculty of Management Sciences said the training would empower students as they prepare for life as accounting professionals. “This is like a new qualification for the students. I would like to thank Umlazi Comtech for assisting,” said Prof Jinabhai. Staff at MUT have welcomed with great joy the return of Open Athens, an online database that provides a range of products and services that enable staff to access online resources through single sign-on through the MUT website. Apart from access to databases of journal articles and e-books, Open Athens also provides access to top magazines and newspapers from across the world. “We live in the Information Age; without information you cannot find a voice. Our bouquet of databases includes Scopus, Taylor & Francis, Science direct, Emerald, to mention a few. Staff can be in this virtual library anywhere in the world. We are planning a tight orientation schedule for our students and hope that this will support the catch-up plan that academics will have when our students are back”, Patricia said. For MarComms, this is music in the air. Reading and writing are the pillars of this department and we love Open Athens as it makes us not to be obsolete with how we package information. For those who have never given themselves an opportunity to use Open Athens; you will be ‘sold’ on this database. 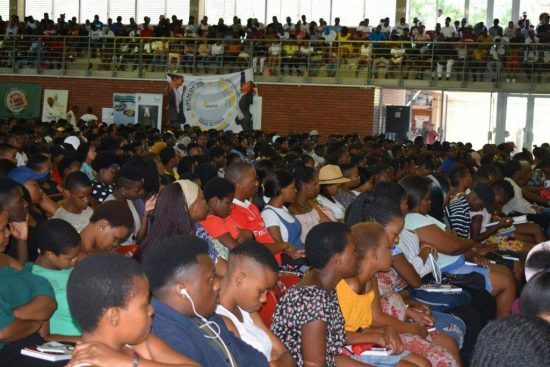 The iconic Seme Hall was full to capacity as the MUT Vice-Chancellor Dr Enoch Duma Malaza started the 2019 first-year student orientation programme on Friday, 15 February 2019. Welcoming the new students, Dr Malaza told the more than 2 000 students that they were now masters of their fates. “Unlike your last chapter that was written by others – your parents, teachers, etc, your new chapter at the University will be written by yourselves. You now have an opportunity to determine the direction, the plot and the tempo of your story. The great thing is that you are doing something that you chose. Take responsibility for your learning, and embrace diversity,” said Dr Malaza. Dr Malaza told the students that they now have an opportunity to learn new things, acquire new knowledge, and develop new skills and their personal attributes in profound ways that would equip them for life after the University. MUT departments and divisions took turns on stage, telling the students about what they offer. 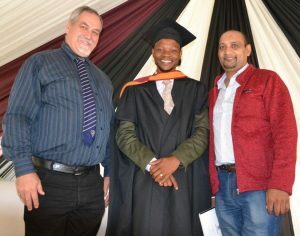 The speakers included Professor Chandra Jinabhai, the Acting Dean of the Faculty of Management Sciences, who told the students what it meant to study a management qualification. 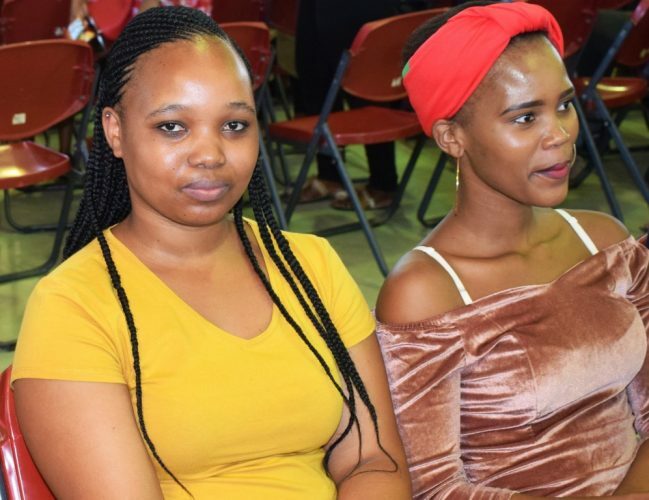 A first-year Accounting student at the Orientation event, Senzekile Gumede, said Orientation opened her eyes to the many opportunities that the University offers both socially and academically. “Now I know the difference between the University and high school. I have been told that at this level you are on your own. No one will follow you from behind as it happens at primary school level. I also know now that it is important for one to focus on the studies as this may be the only chance,” said Senzekile, who went to Gugulesizwe High School, Scottburgh in the south coast of KwaZulu-Natal. 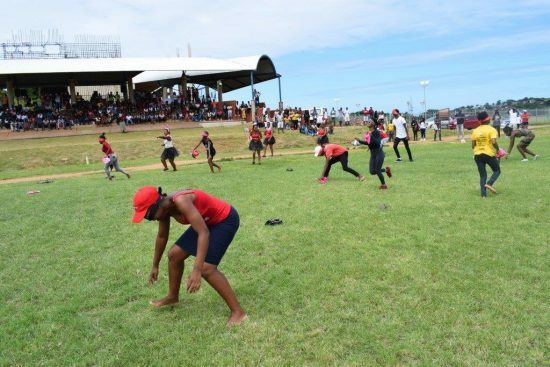 As part of Valentine’s Day – 14 February 2019 – the Department of Marketing and Communications (MarComms) co-hosted various physical activities at Seme sports grounds to encourage staff and students to create an environment where love, unity and tolerance thrive. The event – which was co-hosted by MarComms, MUT Department of Sports and the MUT Campus Health – was also meant to remind participants to take care of their hearts in line with the Valentine’s Day symbol of using the heart. Jade said the event was part of the initiatives to create an environment that is not only conducive for learning inside the classroom but one that allows students to participate in activities and create a social life beyond the classroom. The event, added Jade, gave staff and students an opportunity to forget about the gloom of student protest that has now become a regular feature of South Africa’s higher education institutions, and embrace love, collaboration and tolerance as they forged forward towards the same goal. She said MarComms wanted to remind students and staff of being children again. “There should be nothing like ‘too old’. Life should be approached with care, and not flippancy. But we still need to be happy about what we are and who we are,” Jade said. Some of the games included water balloon, three-legged races, egg and spoon race, hoola hoops, dance-off and tug of war. The event also afforded MUT divisions to communicate important messages to new students. The new students got to know about the new Orientation information, and the services available at the MUT Clinic. The Clinic staff tested about 50 students for glucose, cholesterol and blood pressure, amongst others. These efforts to encourage love, unity and tolerance will continue through a ‘chillas Tuesday’, which is an initiative by MarComms to have students perform social activities such as poetry, mosaic art and graffiti together. As calls for the provision of sanitary towels continue to grow, the Department of Marketing and Communications (MarComms), at the request of the SRC President, communicated with MUT partners to donate sanitary towels for female students. The idea has always been that sanitary towels should not be treated as lifestyle items but rather a basic need that enables students to attend their classes without interruptions. The first partner to come on board was the Durban North Primary School, in Durban North. The school donated over 300 of their underutilised sanitary pads they receive from the Department of Education. “The natural circle in any woman’s life should not be a crisis, especially to first-year students who are in a different environment which could be very intimidating. We would like to assist in making their transition from high school as seamless as possible,” said Zama Sishi, the Director of Stakeholder Relations and Engagement. “The 300 sanitary pads we received from the school will go a long way in giving female students the comfort they need. We are also confident that this donation was the first of many as our request for support has touched many people who want to support this cause. While it is easy for people to think that anyone can afford R30 for sanitary pads, the truth is that some of our students just can’t afford,” added Zama. 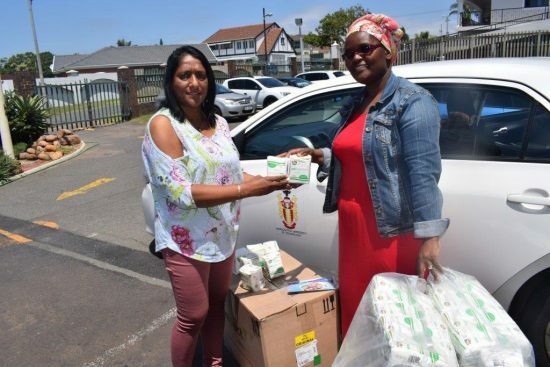 Nellie Pather, the personal assistant to the principal of Durban North Primary School, said the fact that MUT had students who could not afford some of the items that could be taken for granted was a touching story to them. She added that the Principal has expressed that the school is more than willing to give more relevant items whenever possible. 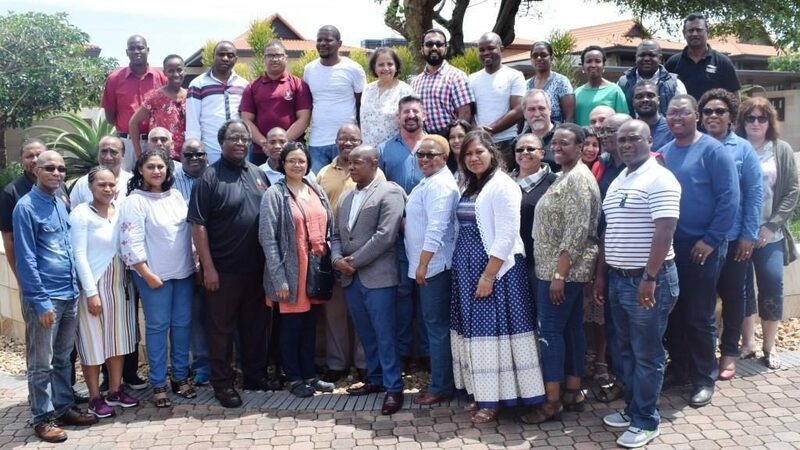 The Teaching and Learning portfolio at MUT convened a lekgotla to improve the quality of academic programmes at Zimbali from 3-5 February 2019. The Deputy Vice-Chancellor: Teaching and Learning, Prof Marcus Ramogale, said the lekgotla’s main purpose was to provide a platform for all in the Teaching Learning Portfolio to share ideas and plan for the 2019 academic calendar. The Teaching and Learning Portfolio is composed of all the academic faculties, and Teaching and Learning Development Centre (TLDC), the Quality Management Directorate (QMD), the Library, and the Co-Operative Education Directorate. These last three are called ‘enablers’ as they provide the academic faculties with resources. “The colleagues who are drivers in the respective divisions got a chance to discuss issues and ideas that were raised over the three days, which resulted in common understanding among all,” said Prof Ramogale. The lekgotla was also an opportunity for various stakeholders with Teaching and Learning to take part in the implementation of the portfolio’s 10 priorities, which are: Training in material development, Visitor scholarship programme, Academic leadership training, Delegation of authority, Promotion of the Scholarship of Teaching and Learning, Minimum standards for lecture halls, Institutionalisation of e-learning, Staff exchange, Decolonisation of the curriculum, and Entrepreneurship. Drawing on Japanese philosophy, Kaizen, Prof Ramogale emphasised the importance of working together as a team, and that colleagues should regard another as potential sources of information. Prof Ramogale also added that he wanted to “reconnect” with the portfolio leaders. He has been away from the portfolio since the beginning of 2016, when he was Acting Vice-Chancellor. To achieve maximum impact, the portfolio leaders would have to share the lekgotla resolutions with their divisions and departments, said Prof Ramogale. Prof Ramogale said the quality of teaching and learning would be improved as all the academic departments would benefit from the enablers. Every year the TLDC requests the academic faculties to list their needs. 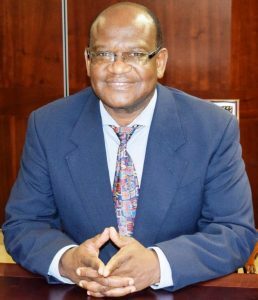 Dr Manyane Makua, Senior Director of the TLDC, said his centre would formalise its interaction with the faculties by signing a service level agreement. Prof Ramogale said the other enablers would have to follow suit at some point. To see to it that everyone was on the same wavelength, the enablers made presentations to the faculties, explaining what they do, and how the faculties could benefit from their services. Dr Suri Moodley, the Director of QMD, gave a presentation on the processes, and other activities that her directorate follows; like the surveys they have conducted, among other things. Fundiswa Nofemela, the Director of the Department of Co-Operative Education, emphasised the importance of the role played by work integrated learning co-ordinators, and that it was vital for the co-ordinators to be given enough time so that the WIL students in industries would benefit more. Fundiswa also updated the portfolio members on the visit to the Waterloo University in Canada in 2018. She explained how seriously that university applied WIL, and how MUT could benefit from the Waterloo University strategy. Fundiswa said one of the ways used by Waterloo was where students would be in a virtual organisation where they would conduct activities by which they were assessed. The Department of Nature Conservation continues to fly the MUT flag high as they bring the institution to par with its peers. This time, Nature Conservation has been granted permission to admit students to a Bachelor of Applied Science in Nature Conservation degree. The Head of Department, Prof Peter Small, said the permission to offer this degree has made his department a one stop shop for Nature Conservation qualifications, and has cementing their position as a “flagship” department in the University. The new programme, added Prof Small, was “an extra string in our bow”. The granting of permission to run the programme was a result of hard work put in by the members of his department, whose determination to achieve more is symbolised by the fact that it was leading in the number of PhDs and Professorships within the institution. Prof Small worked alongside his colleague in the department, Prof Roger Coopoosamy, who said their main reason for success was working as a family, and focussing on the goals they set every year for the department, which includes the students. “Employers are looking for two types of graduates – one with a Diploma in Nature Conservation, and one with a Degree in Nature Conservation. These qualifications serve different purposes. We are now going to offer both. Prof Marcus Ramogale, the Deputy Vice-Chancellor: Teaching and Learning, described the permission to offer the degree as a “great breakthrough” for the University. Prof Small said they were expecting to start offering the new qualification in 2020. 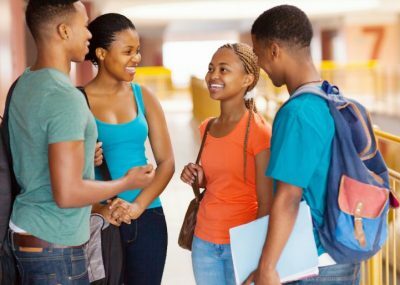 The Department of Information Technology and Networks (IT&N) has collaborated with the University of Zululand (UniZulu) to create a new student allowance payment system. 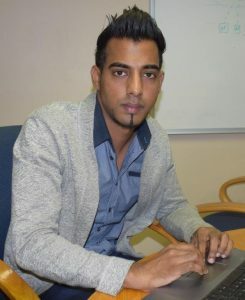 Applications Manager in the IT&N department, Sherwin Mudaly, said “the major benefit of the system was that students are now going to be paid in real time. It was developed to pay student allowance payments directly into the student bank account. It will replace a system that is still dependent upon manual work,” said Sherwin. The new system is expected to be implemented soon. Other universities are already showing interest in using the new system and have made enquiries to the IT company Adapt IT who built the new system. Adapt IT has recognized the innovative thinking that stemmed between MUT and UniZulu, and has already rewarded MUT with 50 system development hours equivalent R74 000 in monetary terms. Sherwin said IT&N has already started the planning processes to use these hours for new ITS system innovations in to provide improved system work flow processes to the MUT community. This week, MUT management’s open door policy and engagement with students has helped to resolve the student protest, which took place on Tuesday morning, paving way for registration to continue seamlessly. On Tuesday, 29 January 2019 students clad in attires of different student political formations caused disruptions on main campus, complaining about, among other things, the slowness of the registration process. On the same day, the MUT management engaged the democratically-elected student leadership in trying to find solutions to the problems. The university management and the students agreed on concessions to allow students. The new book allowance is capped at R5,000 and the meal allowance is R14,440 per annum. The MUT management along with students has engaged with NSFAS and DHET to advance the interests of students in light of the new financial aid caps that DHET has introduced. A task team, led by the Deputy Vice-Chancellor: Resources and Planning, Dr Johan van Koller, visited NSFAS to discuss the historical debt on 17 January 2019. The SRC President, Codesa Gwala, was part of the delegation to represent the interests of the students. To date, NSFAS has made an upfront payment. The University will commence the upfront payment of student allowances. The process of residence allocation, which started towards the end of 2018, continues. Some important stats are: Of the expected 12,500 students for the whole year, about 11,500 students have been registered; about 500 students will be registered in the second semester. Less than 500 students have not yet registered. The first-year student target of 3827 will be reached soon. More than 2907 have been registered. The University’s Student Affairs department will continue to run the student leadership social-cohesion programme that aims at strengthening tolerance among different political formations so that student leadership is better prepared for leadership roles during their stay and beyond MUT. Management encourages students to channel their grievances through the democratically-elected SRC, as required by the SRC Constitution. MUT will always rise above petty student politics and abide by the SRC Constitution. MarComms: How long were you at the University of Birmingham? MarComms: What exactly are you doing there? RT: I was a visiting research student at the Institute of Microbiology and Infection, where I completed my Master’s research under the supervision of Dr Matthew O’Shea, Professor William Horsnell and Professor Ian Henderson. I am a student in a collaborative project between MUT, UCT and the University of Birmingham. The main study is funded by the South African Medical Research Council (SAMRC) and is titled: A study on the effects of helminths on Human Immunodeficiency Virus and Mycobacterium tuberculosis diseases, immune responses and treatment outcomes: Human and murine models. The principal investigators and collaborators are Dr Zilungile Kwitshana, the Head of the MUT’s Department of Biomedical Sciences, Professor W.G. Horsnell (UCT) and Dr M. O’Shea (UoB). This project is an example of collaborative research between the UK and South Africa, as an effort to improve the research capacity of South African institutions. It also aims to address the interactions between our priority diseases HIV, TB and helminth infections, in order to improve understanding of these diseases interactions and improve treatment strategies. My project focuses on direct helminth-bacterial interactions and the effects thereof on bacteria that form part of the microbiota and/or have pathogenic potential. The work I’ve completed will form the basis of my PhD project. RT: I’ve had the opportunity to work with researchers from different countries such as UK, Greece, Sweden, Saudi Arabia, India, Ireland, and Australia. This has improved my skills set as I’ve had the opportunity to engage with people from across the world, share ideas and learn about their approaches to life and work. University of Birmingham encourages independent and critical thinking and learning. As a postgraduate researcher, I had to learn to ask meaningful questions about the research I was undertaking and find ways to address my research problems. This new skill in particular will help me as a lecturer, as I guide and teach my own students to develop as independent and critical thinkers. I have grown in a personal and professional capacity. The experience was both challenging and rewarding. Leaving the comfort of my home country and family and living alone in a new country was challenging. I had to learn many new skills in order to adapt to the new environment. However, this was rewarding as I’ve had the opportunity to live and study in a first world country and have enjoyed many benefits for. Examples of these include, the city has very effective public transport and health services and therefore commuting and accessing healthcare was easy and stress free. MarComms: What are your colleagues there saying about your contribution to the department/faculty? RT: My supervisor was very happy with the quality of lab work I completed. We have produced some interesting and potentially significant data which we are looking forward to pursuing in our ongoing collaboration. MarComms: How is it different from MUT, looking at the quality of labs and students? RT: Research forms an integral part of the institution’s history and the university is involved in ongoing pioneering research in various disciplines e.g. antimicrobial resistance and autoimmune diseases. As such they form collaborative projects with universities both nationally and internationally. This provides an excellent platform for researchers from all backgrounds to collaborate. It is also an excellent platform to form collaborations between first world countries and developing countries, such as South Africa, and allows researchers the opportunity to develop their research skills and use equipment and technology they do not have access to in their home countries. This is particularly important as it improves the skills of scientists working in developing countries which in turn will help improve the research capacity of these countries. The University of Birmingham has a very diverse population of students. It is home to over 5000 international students alone. With such a diverse mix of people, one had the opportunity to learn about many different cultures. The university functions as a self-sufficient community and provides students with a range of resources such as restaurants, bars, shops, banks and salons. Students are fortunate to have access to these facilities on campus. Residential areas and residences are often within walking distance. These resources add greatly to the university experience of a student. The university also has a range of teaching laboratories and 24-hour learning centres and students benefit from having access to state-of-the-art technology and equipment. MarComms: What have been your highlights of your stay in the UK? RT: Some of the highlights included seeing snow for the first time and surviving temperatures sometimes of -12 °C. I’ve really missed our warm Durban. I’ve had the opportunity to travel around Europe and visited Belgium, France, Switzerland, Germany and Italy. I thoroughly enjoyed seeing the museums, art galleries and heritage sites in all of these countries. Dr Z.L. Kwitshana was very instrumental in making this project a success. As the HoD she encourages the development of her staff. As a woman in science, she pursues meaningful research and works hard to provide young women with opportunities to develop in the field. I’d like to express my sincere gratitude to her. I’d also like to acknowledge Professor Karabo Shale, Dr P.R Gumede (my NGAP Manager) and Professor Alfred Msomi, Dean of the Faculty of Natural Sciences, for their efforts in making this project possible. And I’d like to acknowledge MUT and SAMRC for the funding that was provided. It was a very different experience from living in sunny South Africa. The climate is different with very cold winters, mild summers and a lot of rain. Birmingham is a populous city – and with its large immigrant population, it is very culturally diverse. It was interesting to engage with people from so many different countries; to taste different foods, here so many different languages and learn about different cultures. Braveheart! She knows she has to create her future. She lost her mother at just 17. At 20, she heads north after having passed grade 12 at Ginyiqhinga Comprehensive High School in Harding, near Umzikmkhulu, in south KwaZulu-Natal. Sinazo Bhenge travels all the way from Bizana, Eastern Cape. Sinazo did not know anyone at Mangosuthu University of Technology where she is now one of the first-year Chemical Engineering students. This is her first time in Durban. As she sat in the mini bus taking her to Durban, she comes to a conclusion that this was the only way to deal with the desperate situation back home. “I want to change the poverty situation back home. The first thing will be to build a nice brick house, replacing the leaky, mud houses,” said Sinazo. She will also put her siblings through better schools. That is three to four years from time. For now Sinazo, who is lodged at C Block on campus, is ready to start attending lectures from 4 February 2019. “I will do my best not to disappoint the people that helped me. I will focus on my studies to the end,” Sinazo said. She has left behind 14 people from her household, eight of which are children who earn government grant. Another form of income is the salary her aunt receives from her employer in Port Edward, also in the Eastern Cape. Sinazo is happy to have secured a place at MUT. She is one of the lucky few. MUT received more than 86 000 applications, and can only offer places to less than 4 000 new students. Ayanda Blose of MarComms said as MarComms they were always ready to assist everyone. “Everyone that comes through our gates deserves our attention. MUT may be compact, but is a maze to a new comer,” said Ayanda who took Sinazo through all the registration stages. It is all hands on deck for the Student Counselling Unit, which is part of the larger Student Affairs department as MUT welcomes the multitude of new and returning students. Dedication, team work and passion are what is going to see the unit through as it prepares to offer the best possible service to the students to ensure they are afforded a maximum opportunity to focus on their studies from the first day of lectures. With lectures starting on 28 January 2019, a new environment can be a daunting task for a new student. Student Counsellor, Lungi Mkhize, said their main goal was to make sure that students were given all the help they needed to deal with their academic programmes. “We run workshops in note taking skills, studying skills, examination preparation, time management skills, and dealing with peer pressure.” Lungi further emphasized that there was a lot of freedom that comes with being a university student; this is one of the common challenges because new students fall in the trap of focus only on the social part of their new found freedom and neglect their studies. Also, students have to learn adjusting to new teaching styles and language barriers. The unit also offers various forms of assistance throughout the year including therapeutic and emotional support to students so that they achieve academic success and enhance their psycho-social functioning. “Our work goes beyond the comfort of our offices. For instance we have Peer Helpers available at residences who see to it that the students get the necessary attention. Through their efforts we are able to identify the roots of some of the challenges that students are faced with,” said Lungi. Lungi said the transition from high school to a tertiary environment is not easy. “We would like to make this difficult time to the students, especially new students as smooth as possible, said Lungi. MUT’s forward thinking and willingness to work with partners in improving the level of education for both its students and staff is paying dividends. In the coming few months the Department of Biomedical Technology will be welcoming back its nGap lecturer, Roxanne Pillay, from the University of Birmingham. Roxanne has been in the United Kingdom for the last 10 months. She will re-joining the University after a year. 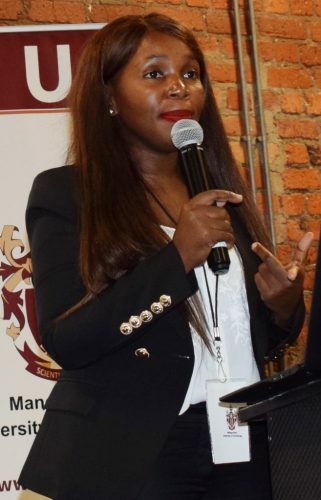 Dr Lungi Kwitshana, the Head of the department, said Roxanne’s colleagues at the University of Birmingham are very happy about having her, and her contribution to the university. Very soon we are going to give you the full story about this magnificent collaboration between MUT and the University of Birmingham. Watch this space! 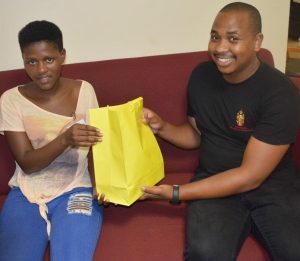 On Monday, 22 January 2019 Mandisa Dlamini took a giant step towards completing her studies and securing her future. She registered for her final year in National Diploma in Accounting (Extended Curriculum Propgramme). Mandisa is one of many returning students that make the bulk of the MUT student body. In fact these students make over 66% of the student population. This year, MUT will enrol just under 4000 new first-year students. Come end of July when the mid-year intake would have been completed, the University will have its full student population of 12 500 students. It is clear that returning students are the backbone of the student population, and a yardstick by which the University measures its daily and future operations. While most returning students were socialising, and going around hugging friends they last saw the previous year, Mandisa was in a pensive mood. She said her daily prayer was that everything goes well at MUT so that she could get a chance to graduate next year. “Like most students from disadvantaged backgrounds, I also have to think about improving living conditions at my home in Nkwali, near Lower Illovo, south of Durban. Some people call it black tax. Well, I call it responsibility, and necessity for redress. I pray every day that I get a job soon. My mother has done a lot for me. I really feel a need to pay her back,” said the reserved Mandisa. Mandisa’s mother works for Corrine Johnson in Hillscrest, west of the Durban city centre. Mandisa’s situation is an almost perfect reflection of most students from backgrounds similar to hers. Being the first to reach university level in the family! Being the first to graduate! Being the first to drain the family resources – most of which would be invested towards securing a better future! Being the first in the family to have a profession! And also having to assist the siblings after them! This is the reality of life for many of our students. However, it is not an easy position for a young person. All of this plays in their minds, particularly when they think of graduating, and that they will then have to face the future, which is always accompanied by a level of uncertainty and brings anxiety with it. Students with such a background would not be looking at a nice holiday or vacation after 12 months of joining the workforce. They will be looking at what they would have done to improve conditions at their homes, some of which are at the far-flung places. Most of these students, over the years have considered MUT as their last hope and in turn, MUT has never failed in fulfilling this obligation and equipping students with the necessary tools for the world of work. Every year the University is besieged by multitudes of learners who trust and associate MUT with a bright future. Registration for the returning students began on Monday, 21 January 2019, and will end five days later. “So far everything is going well. This is the best piece of news for us. Registration, in entirety, poses many challenges. In spite of the proper planning that we do every year, there would be hiccups along the way. There has not been any, so far,” said Xolani Kunene, Head of Administration. 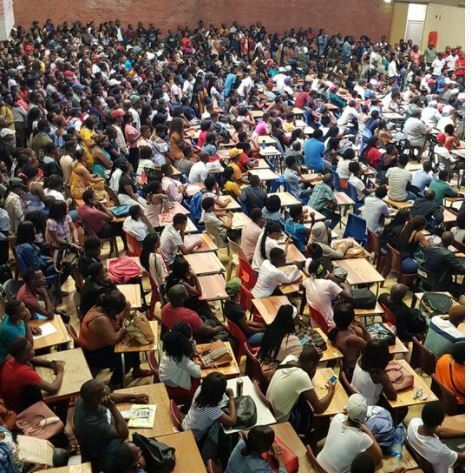 Xolani added that they were expecting all the returning students to take up their rightful places, and fill the lecture halls when lectures start on Monday, 28 January 2019. 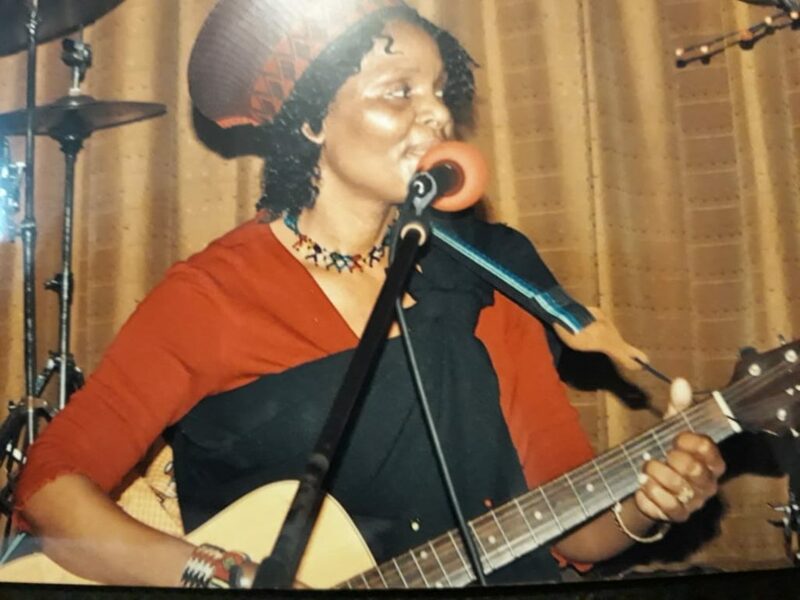 MUT staffers from across faculties, management, support staff and former students came together on Thursday, 17 January to pay tribute to the “once, twice, three times a lady”, Bongi Mkhize. This was an unanimous expression that she was a lady, she had integrity, was a devout Christian and a confidant to many. Her musical ability, humility and passion to enrich students with knowledge and agricultural skills were noted by speaker after speaker. 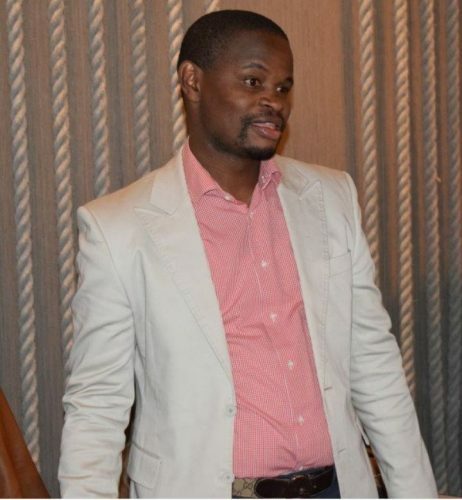 Though Bongi has passed, speakers ranging from Professors Ndlazi, Msomi, Jinabhai, Mandleni and her colleagues, Thobile Zikhathile, Mathew Lecheko and Xolile Mkhize showed that MUT is a family with deep love and respect for one another. In their speeches, one saw an MUT that is a loving community, appreciative of one’s achievements and able to make someone grow and be nurtured in Christ. 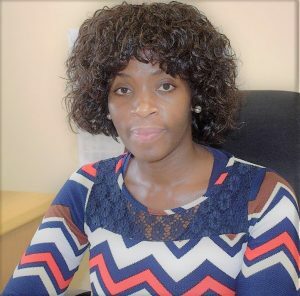 Bongi was a lecturer who had thrived at MUT, travelled the world for capacity building, presented her research at conferences and at some point won a poster competition; among many accolades. 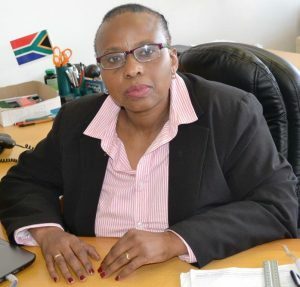 “She was a board member of one of the professional bodies of community extension professionals in KZN; a responsibility she undertook with competence”, said a rep from the board. What an awesome moment it has been to interview the Class of 2019 in order to get an understanding of their aspirations. Apart from aspiring to complete their qualifications in record time; they also have out of this world aspirations. “I want to travel the world before the end of the year-I plan to get a part-time job so I could save some money”, “I want to form a book club and share knowledge with friends”, “I would like to style some first-year students like myself so we may be the same as students anywhere in the world”, “I would like to learn new languages-I will use the internet to start by learning French – who knows, I might end up travelling to France one day”,” “I want to open a Friday market-day so we could sell our stuff” “I hope to have an online shop selling my clothing line”, “I wish to excel in everything I do this year”, “I want to sing in the MUT choir and meet someone who publishes poems”, “I want to play at the USSA games and make the KZN team this year”, ”I want to meet a group of people who will bring positive thoughts and a positive mind in everything we do this year”, “I wish to grow as an individual, learn being independent and worked hard to achieve my goals professionally and academically but most importantly, I want to enjoy my journey as a student”. These were many blue sky thinking responses that define today’s students and with this attitude, the Class of 2019, seems ready to conquer the world. In a bid to help students fight food insecurity on campus, Mangosuthu University of Technology has started a Food Security Programme to provide the much needed help for many of our needy students. The pantry space has already been identified and cleared for use. It will be filled with food items and clothing which will be donated by alumni and anyone who is willing to lend a hand. “As someone who understands where most of our students come from, I believe that this is the first step of giving our students the dignity of being a student by tackling food insecurity”, said Ayanda Blose, Schools Liaison Assistant, Marketing and Communications Department. Blose also explained that this is part of MUT’s plan to help students in need so that they can fully focus on their studies and not have to worry about where their next meal will come from, which is a serious but overlooked problem in many institutions. The first alumnus to hear of this programme, Nkululeko Mthembu, got on board and will be bringing supplies for the pantry next week. This is the statistical representation from the Central Applications Office (CAO) of the number of students applying to MUT for first-year studies. Dr Enoch Duma Malaza, MUT Vice-Chancellor, has expressed positive sentiments about such a huge interest in MUT. Penning his New Year welcome message, Dr Malaza said: “I am heartened to see so many students scrambling to get a space at MUT-this is a sign that we are still relevant and that our programmes are being sought after”. On Monday, 07 January, barely a few hours before the University officially opened, there were already huge queues of students accompanied by their parents seeking admission. The Registrar’s office quickly devised a plan to address queries at Bozzoli Hall. “We are hopeful that the registration process will be seamless”, said the Registration Team led by Mr Zolisa Gqamane, deputy-registrar (academic) and Mr Sunshine Kunene, head of academic administration.